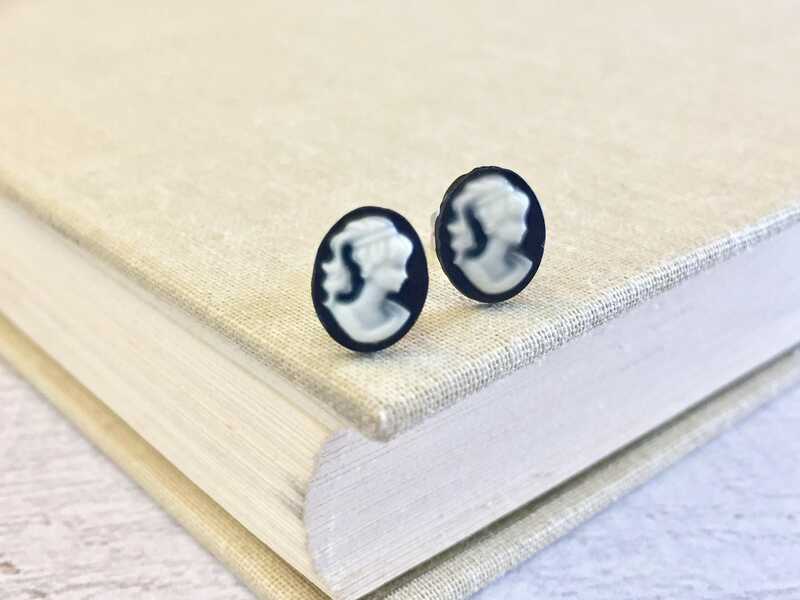 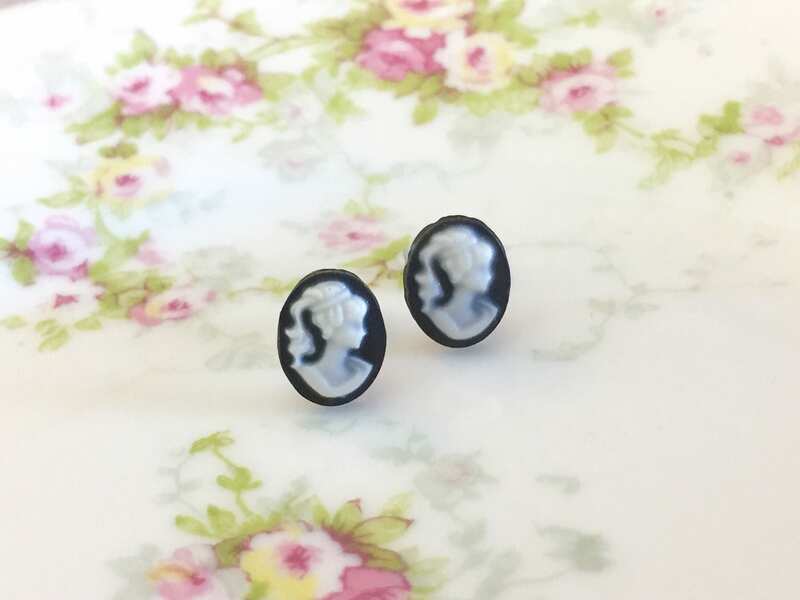 These tiny little victorian lady cameo studs are just so romantic and darling. 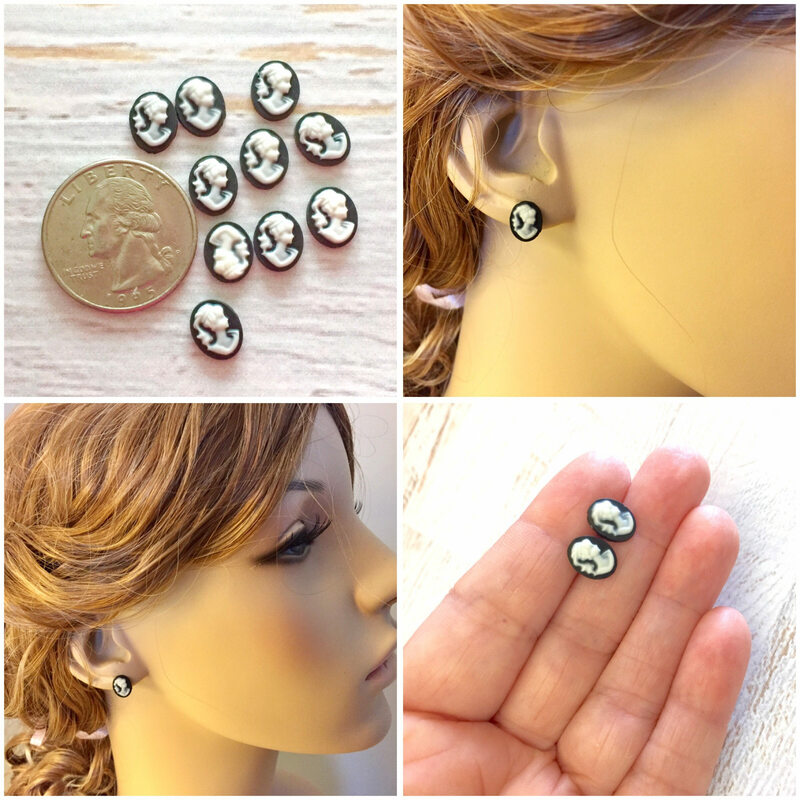 They are a resin so they are nice and lightweight. 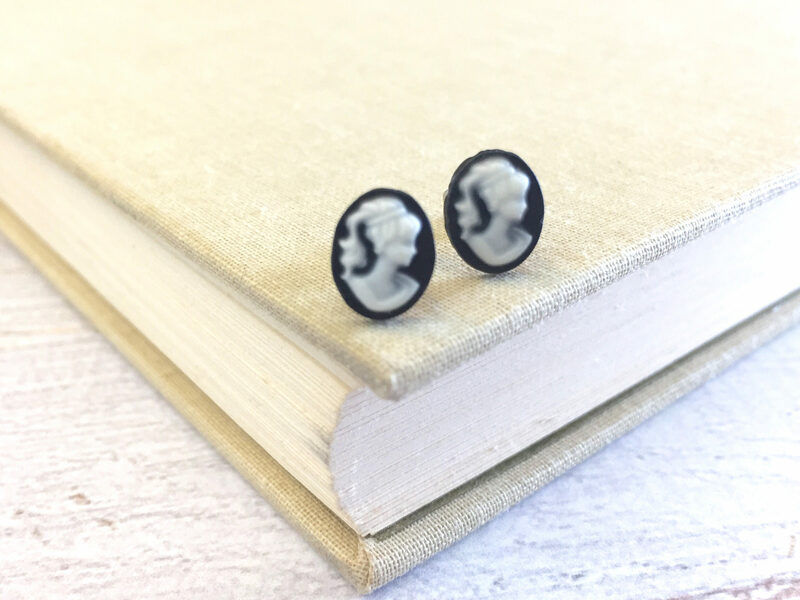 I've finished them with surgical steel studs so that even those with sensitive ears can wear them. 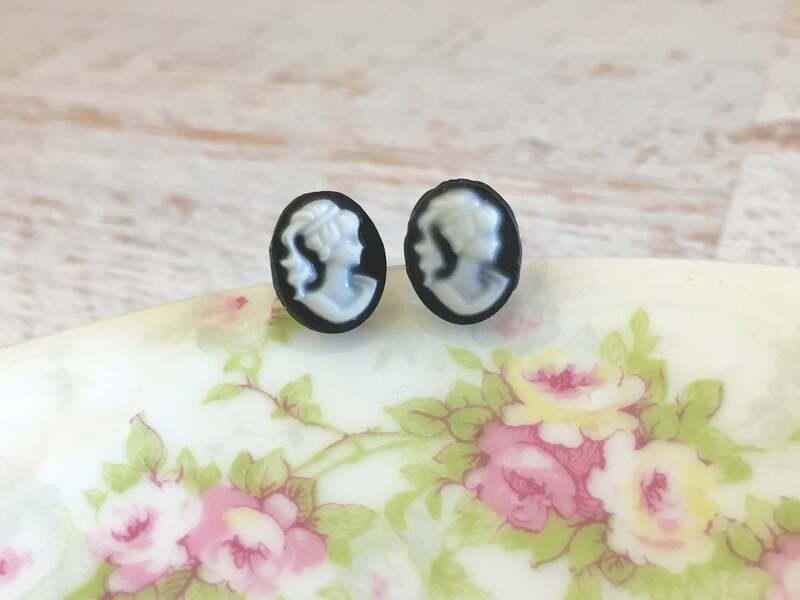 These earrings measure about 3/8 inches tall by just over 1/4 inches wide.